Where is Bob? 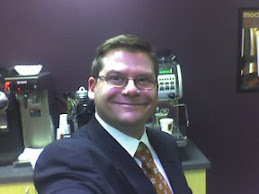 : SPOTLIGHT on BIGGBY COFFEE -- We are proud of you!! SPOTLIGHT on BIGGBY COFFEE -- We are proud of you!! Another great piece on Mo and Al! You guys embody PERC and giving back to the community--I love it! Now, Mr. Mayor, I've got my eye on you--I saw those extra pumps! 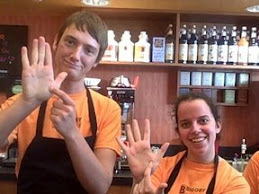 That's not how we do it at BIGGBY! So, when is this Mo character gonna run for office? I can see him shaking hands and kissing babies. And hitting up everyone he knows for campaign money :) I usually just sit in my home office in my underwear and tell everyone else how to do things. But I have actually been to this Biggby. And it really is a friendly place. Well managed by a hardworking guy. Unlike your loyal commentator. Mo and Al - you deserve this. CONGRATULATIONS!!! Keep up the great work!! congrats to Mo and Al and everyone at the Westland store.